Aghaviller, Ballyhale, Ballyvool, Bennetsbridge, Bramblestown, Castlebanny, Castlegannon, Coolhill, Danesfort, Ennisnag, Famma, Freaghana, Goresbridge, Graiguenamanagh, Inistioge, Jerpointchurch, Kilfane, Kilkeasy, Kiltorean, Knocktopher, Pleberstown, Powerstown, Stonyford, Thomastown, Tullaherin, Ullard, Woolengrange. 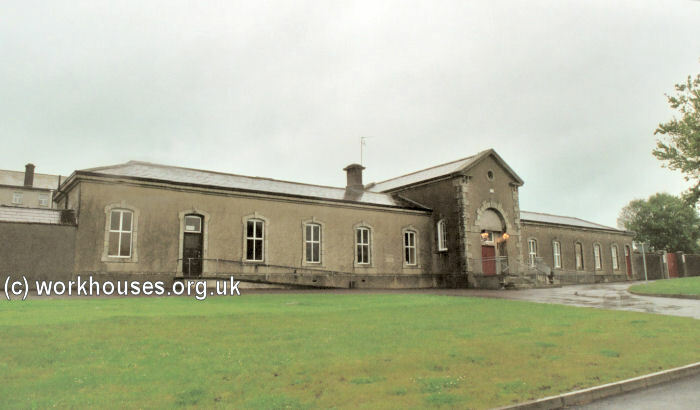 The new Thomastown Union workhouse was erected in about 1854 on a eight-acre site to the north-east of Thomastown. 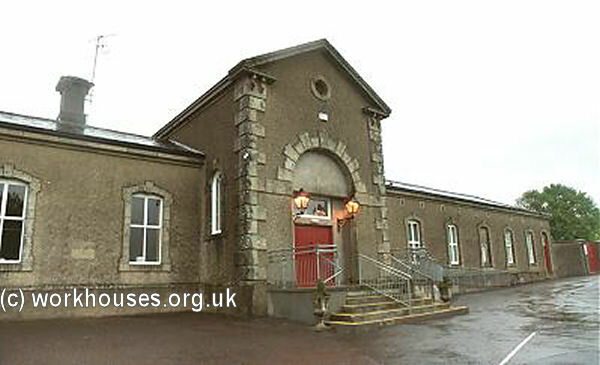 Designed by the Poor Law Commissioners' architect George Wilkinson, the building was based on one of his standard plans to accommodate 600 inmates. Its construction cost £6,250 plus £1,215 for fittings etc. The site location and layout are shown on the 1930s OS map below, by which time it had become St Columbkille's County Home. The main buildings broadly followed Wilkinson's typical layout. However, the entrance block at the east was a long single-storey building with a central arch. To the rear, a central walkway was flanked by walled walkways at each side. Privies were located at the corner of each yard. 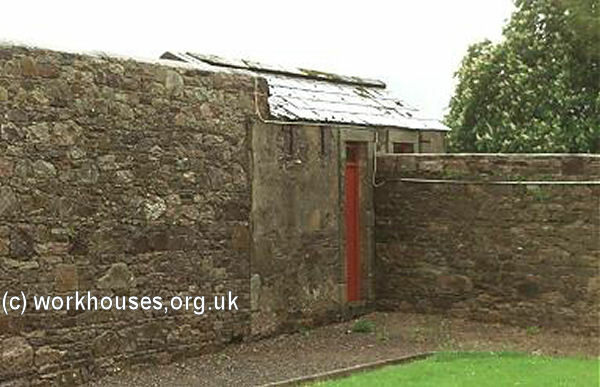 A utility block containing bakehouse, washhouse etc. was immediately to the rear. A central spine containing the chapel and dining-hall linked to the infirmary at the west of the site. 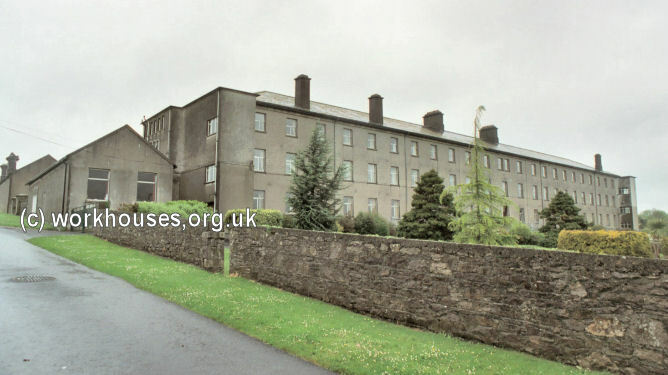 In 1888, despite initial opposition from some of the Board of Guardians, nursing care at the workhouse was taken over by the Sisters of the St John of God order. The first to be appointed was Sister Augustine Doyle on 18th December 1888, later followed by Sister Agnes who had responsibility for care of the children. At the end of the century, the nursing staff comprised three trained nurses, one night nurse, a nurse in the fever hospital, a midwife, and a superintendent of children. By this time, the workhouse was catering for up to 1,090 inmates, with 237 more on out-relief. Unmarried mothers often had their children in the workhouse. Some were adopted but the rest were kept by their mothers and educated in the workhouse and later at the Convent School. At school they were picked out by their distinctive uniform of check pinafores for the girls, and tweed trousers and jackets for the boys. At the 1901 census, the population of the Union was 13,228 including 14 officials and 146 inmates in the workhouse. 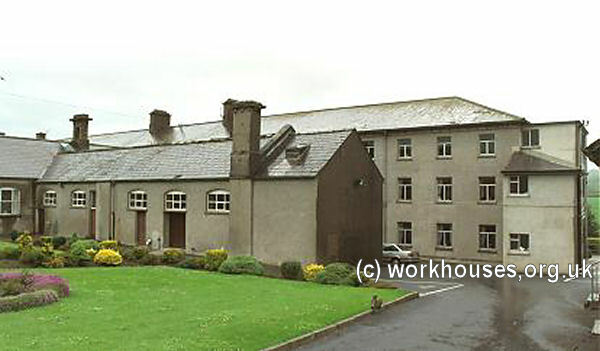 In 1923, following the formation of the Irish Free State, the workhouse became a County Home under the control of the Kilkenny Board of Health and Public Assistance. In 1957, the institution was renamed St Columba's Hospital and has since provided care exclusively for the elderly. Kilkenny County Library, 6 John's Quay, Kilkenny, Co. Kilkenny. Holdings include: Guardians' minutes (1857-1926, with gaps). A Short History of St Columba's Hospital by staff of St Columba's Hospital.